The M.E.S. 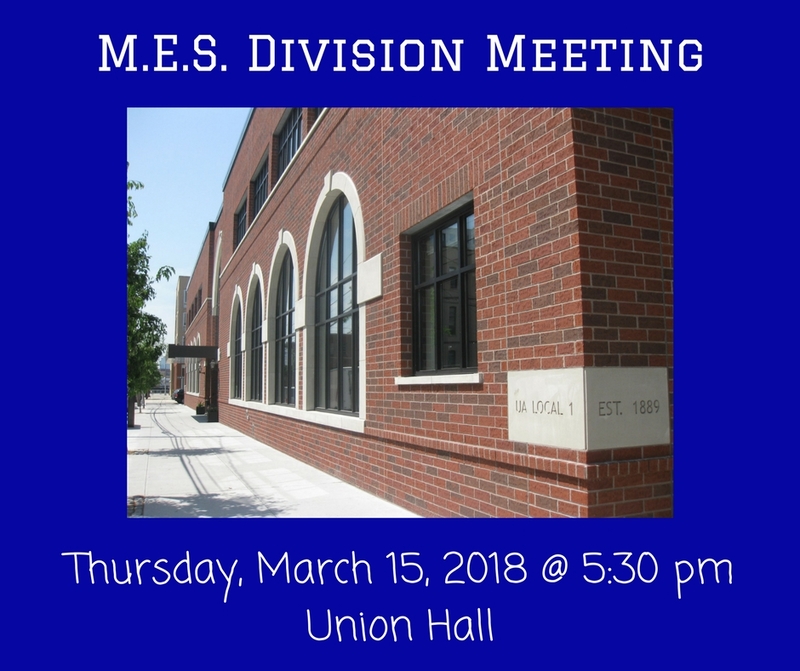 Division wage allocation meeting is tonight. Prudential will be at the meeting to discuss 401k. All M.E.S. members are strongly encouraged to attend!